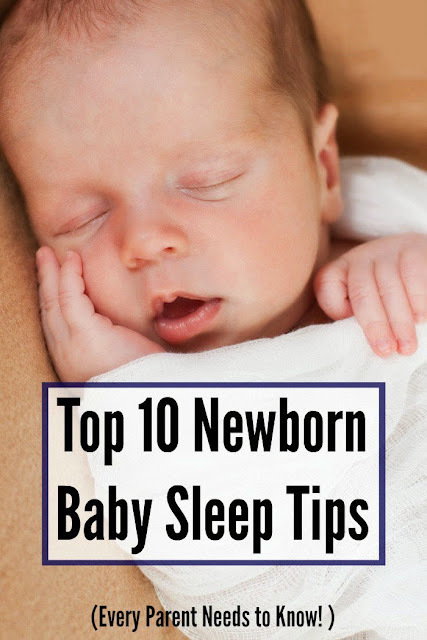 If you’re interested in learning some awesome newborn baby sleep tips, then you are in the right place. When your baby sleeps better, you will notice a more patient, more tolerant, more engaging baby after a good nights rest or quality nap. Be encouraged. It’s never too late to foster excellent sleep habits in a baby, and ultimately help yourself get some much needed rest as well. From birth to about age four to five months, babies innately possess a startle reflex, in which they feel as if they are falling. The sensation of falling causes jerking movements, and the baby will incidentally wake up. Keeping a tight swaddle prevents babies from startling themselves awake, helping the newborn baby sleep both better and longer. I like to think of the baby as ‘snug as a bug in a rug,’ and I used to tell my son this every time I’d swaddle him snugly. The dreamfeed is the feeding given to the baby right before you go to bed, and it helps prevent the baby from waking up just after we moms finally drift off to sleep. Isn’t this the pinnacle of sleep deprivation? You just fall asleep and the baby wakes up. The dreamfeed can really help your newborn baby sleep for longer while you sleep. We used it until about age 4 months. How to Dreamfeed. Assuming your baby goes to bed between 6-8 pm, the dreamfeed should be given somewhere between 10-11 pm. Any later and you will disturb night sleep. Any earlier and the baby won’t really be hungry enough. Using only a night light pick the baby up in the dark, feed the baby, and then lay him back down. No need to wake the baby or even un-swaddle. If you feel like a diaper change is needed, go ahead and change the diaper before the feeding. This ensures you can lay the baby straight back down in the crib after the feeding. 3. Limit naps during the day. I know it’s hard to wake a sleeping baby, but sleeping too long of a stretch during the day can rob nighttime sleep. If the baby sleeps past the two hour mark, I would go ahead and wake the baby up, feed him, keep him a wake for a bit, and then lay him down for another nap. If you feel the baby truly needs longer naps, feel free to increase the nap limit to 2.5 hours. Breaking up sleep during the day will help your newborn baby sleep better at night. No one wants to miss a party, so if your baby is listening to all the fun going on in the house it can be hard to fall asleep and stay asleep. I place a fan on medium in the baby’s room rather than directly next to the baby, so it does not blow directly on him or sit too close to his sensitive ears. Using white noise also helps immensely when we are traveling! We are usually able to avoid asking friends or family to be quiet. 5. Follow the eat, wake, sleep cycle. The baby wakes from sleep and immediately eats. Then the baby is awake for a while to play. Then the baby goes back to sleep…. This cycle has several purposes. First, it encourages full feedings by allowing the baby to eat immediately after waking. The baby will have the most energy immediately after waking, making him more inclined to take a full feeding and go longer between feedings. Also, by feeding the baby after sleep rather than before sleep, the cycle prevents the baby from associating food with sleep or using food as a sleep prop. When using this cycle, a feeding before bedtime is typically only feeding before sleep. Note: Newborns require frequent feedings and rest to ensure healthy growth a development in the early months. Always feed your baby as frequently as your baby needs to ensure healthy weight gain. 6. Use a pre-nap and bedtime routines. A bedtime routine would typically be a little longer and may include a bath, a massage, reading a story, offering a feeding, placing the baby in a wearable blanket or swaddle, turning on the white noise, a few cuddles, and saying your sleepy words. Following the same exact routine as consistently as possible cues the baby for sleep, and over time the baby will learn that sleep immediately follows the nap and bedtime routines. Changing the diaper before a middle of the night feeding prevents the baby from waking up too much after a feeding is finished. When the baby wakes up change the diaper and re-swaddle to prepare him for sleep immediately following a night feeding. If you change the diaper after the night feeding, the baby may become too awake, making it more challenging for him to fall asleep. 8. Understand how a baby sleeps. The more your baby sleeps, the more they will sleep. Keeping a baby awake in hopes of tiring him out will actually result in over-stimulation, and he will experience both difficulty falling asleep and staying asleep. It is very likely an over-tired baby will sleep shorter, not longer. We may inadvertently encourage the start of a bad sleep habit by rushing in when a baby cries or rustles during the night. Often times, babies wake up babble and go back to sleep. The baby may even cry briefly or babble and still be asleep. Give the baby some time and see if he will resettle himself. 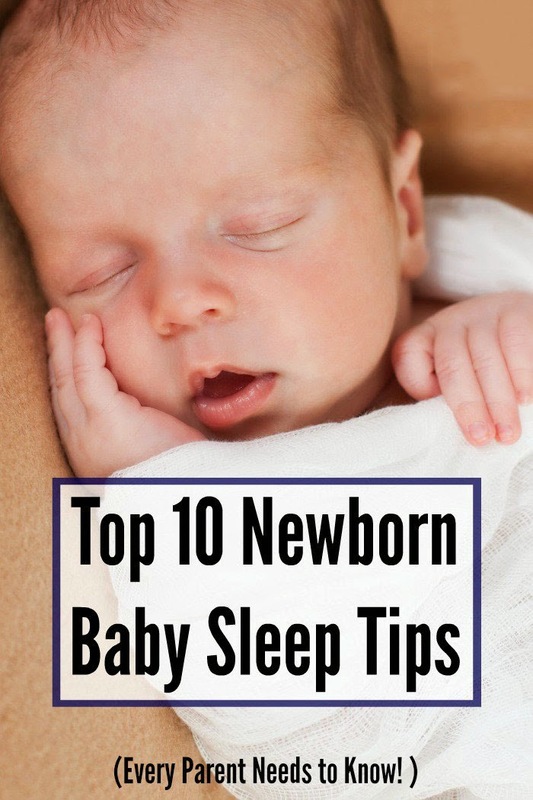 Avoid rushing in and disturbing this process in order to help your newborn baby sleep better. 10. Lay the baby down awake, but drowsy. The most important way to encourage your baby to sleep well in the long run is to teach him to fall asleep independently, which is essentially the beginnings of teaching independent sleep. Babies, like adults, will naturally wake up during the night. Without knowing how to get back to sleep, a baby will cry out after waking regardless of actual need, resulting in night waking droning on for much longer than is actually necessary. Once a baby gets older, falling asleep independently enables a baby to drift back to sleep after waking in the night, ultimately helping your baby sleep better in the long run. Heloo ... following information about the development of property development in jakarta especially south jakarta, Agung Sedayu Group presents the region Superblok new brand fatmawati city center with a total area of ? ?22 hectares with complete facilities and concepts Smart City in jakarta, Indonesia.